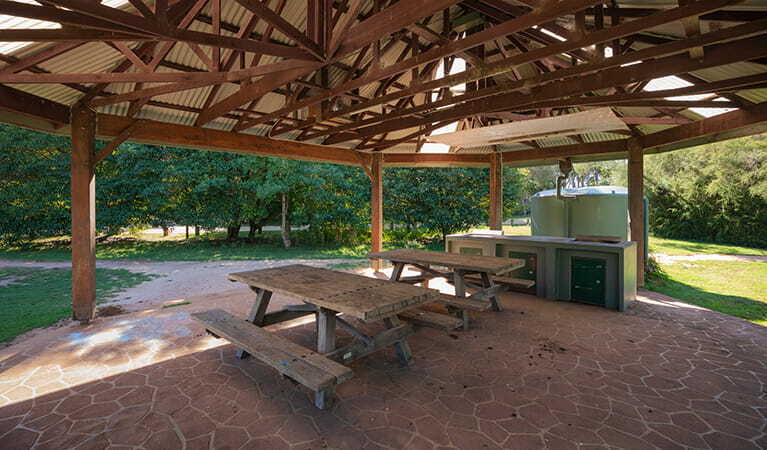 This campground is suitable for group bookings. 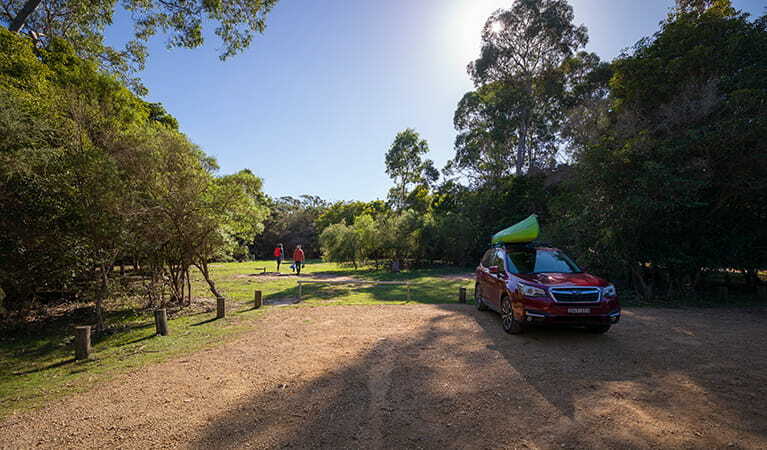 Pack the car with all your favourite outdoor camping equipment and head for the sandy shores of the idyllic Wallagoot Lake. 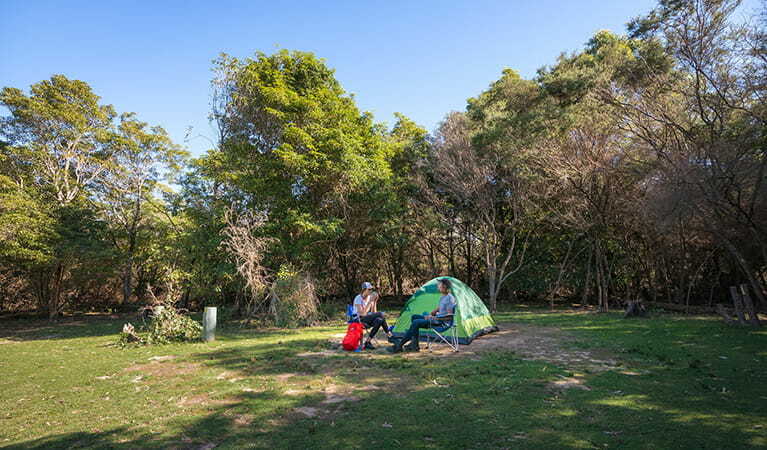 Hobart Beach campground in Bournda National Park on the far south coast is a great destination for a family holiday. Pitch the tent or park the van beside the shimmering waters fringed with forest. While you might have relaxing in mind, there are loads of activities to keep everyone happy. 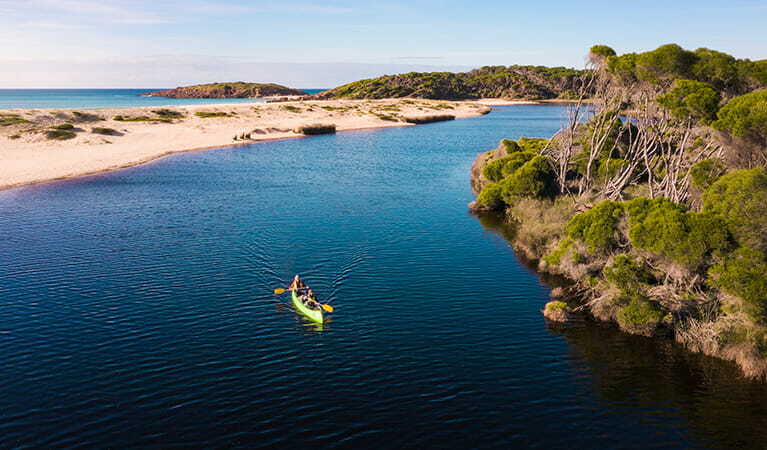 Spend your days swimming, walking, cycling, fishing and exploring nearby secluded beaches. The peaceful lake is ideal swimming for the little ones, while the northern shores of Wallagoot Lake are excellent for sailing and paddling. If you’ve spent the day fishing, gather the clan for a relaxing barbecue of your daily catch and recount stories of the one that got away. 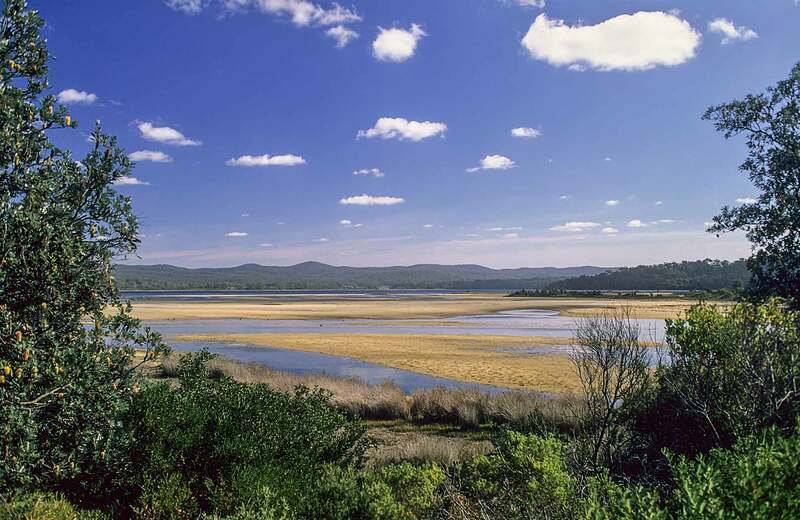 Discover the creatures of the dark at Bournda National Park on a night stalk. 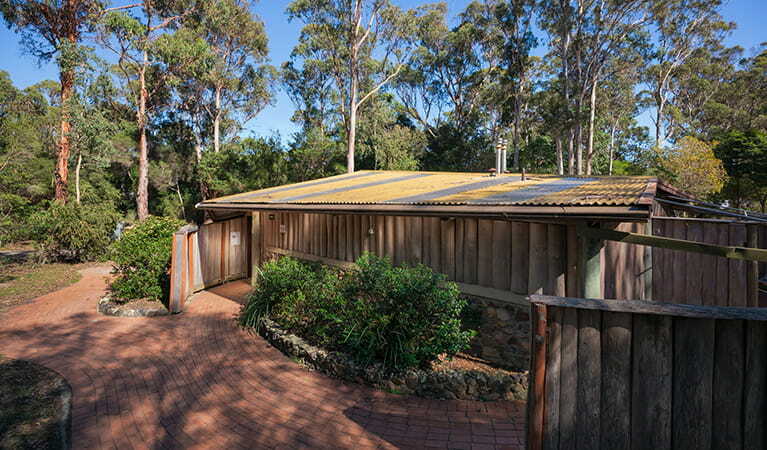 Explore your creative side in Bournda National Park, near Merimbula. Join in this traditional weaving workshop to learn about Aboriginal culture and weaving techniques. Bournda National Park is always open but may have to close at times due to extreme weather or fire danger.